There’s a lot of commentary out there from people—vendors, consultants, and the press—who don’t know what actually happened at Equifax or don’t really know much about enterprise security, yet claim they would have done better. Don&apos;t listen to such people. One of the more popular buzzwords that we have heard over the last year is “transformation.” You may have heard this referred to as “IT transformation,” “digital transformation,” or “business transformation.” So, what does this really mean? It really depends on who you talk to, as you will get different answers from different people. But one thing that everyone will agree on is that it has an impact on processes, rules, automation, and culture. So, you may be asking yourself how to go about approaching transformation. If we look back several years we saw this transformation take place around virtualization. This was the shift from traditional bare-metal servers running single applications in your data center to a shared pool of resources running virtual machines. This was a significant transformation that allowed us to consolidate and become more efficient in the way we ran and managed our infrastructure. Soon after, cloud computing became all the talk. This brought about a huge transformation that allowed for utility computing. This helped organizations move from a capex spending model to an opex spending model. Cloud computing brings on a dynamic infrastructure that provides agility and responsiveness which requires us to think differently about how we manage and operate our infrastructure. As we all know, the road to cloud is not a straightforward process for everyone. There may be some speed bumps along the way, but with the right planning and knowledge, success can be obtained. Most importantly, ensure that you include all your company stakeholders along your journey. This includes IT, security, legal, compliance, and management. Focus on how your security and compliance needs, rules and regulations may need to be adjusted in a cloud environment. It’s no longer a question of if you will move to cloud, but more so when you will move to cloud. But your success depends on your reason for doing so and it’s crucial that you identify your drivers to cloud. If you are not able to innovate faster than your competition, it’s quite possible you will lose market share and become irrelevant. With the growth in containers, analytics and artificial intelligence, businesses are discovering new ways to reach their consumers at a much more rapid pace. Cloud computing is allowing businesses to respond to customer demand. If efficiency is driving your move to cloud, what processes will you be able to improve that will increase performance? Taking advantage of automating deployment processes, handling complex configuration management and automated scaling of resources as demand dictates will bring about increases in efficiency. Is customer satisfaction important to you? If you are not able to provide your customers with a satisfied user experience, you will lose customers to your competitors. If cost is motivating you, are you prepared to make a shift from capex to opex? 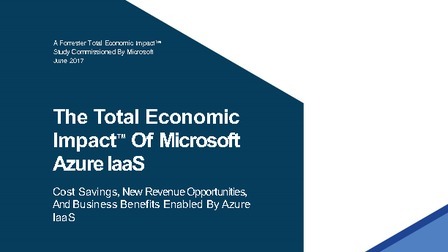 How will you control and optimize your cloud costs? 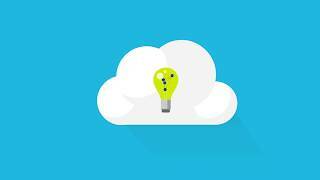 Are you looking to cloud computing to facilitate modernizing your applications? Modernizing your applications drives innovation and helps improve efficiencies, all while reducing costs. Are you concerned about securing your data and meeting regulatory compliances in this era of cyberattacks? Today, more and more businesses are moving to the public cloud for increased security and compliances. Although you still need to adhere to the shared security model, this allows businesses to focus on their applications and not so much the infrastructure. The adoption of cloud also requires organizations to change their operational practices and procedures. You need to fundamentally think differently as you make your move. Many organizations are still cautious about going all-in cloud or have reasons such as compliance that keep them from doing so. These challenges drive a hybrid cloud model that allows organizations to maintain certain workloads behind their firewall and move others to cloud on their terms. These are questions that need additional thought and planning. How will you handle network connectivity? Will you implement a private, high-speed connection or use VPN technology? How do you plan to handle authentication? Will you extend your directory to the cloud? What processes do you have in place today around security and compliance? Will you be able to continue to use those or will they need to be modified for cloud? How do you plan to control your costs and optimize your workloads? Certain strategies need to be adhered to like tagging to facilitate a showback or chargeback model. Will you require a third-party tool for cloud cost management? Skills are also a big challenge when making the move to the cloud. With cloud computing, technical roles will change. I’m frequently asked how I am able to retain the knowledge across the many public cloud providers and how to choose what to focus on. I think it depends a lot on your background. What comes easy for you? What makes the most sense based on your business model? If you were a traditional data center engineer, then you probably will relate best to a cloud architect role with a focus on infrastructure. If you previously held a role as a database/storage engineer, then you would probably relate best to an information architect role focused around big data and analytics. Finally, if you were a developer, then you would probably be suited for a devops role focused around continuous integration, continuous deployment and infrastructure as code. I’ve only touched the surface of a few challenges that you will face along your journey to the cloud. Over the past year, there have been so many new cloud features released and they keep coming. One has to wonder if there is a saturation point. Don’t get me wrong, I like to see all these new innovations. But, as anyone who is focused on cloud technologies knows, it’s quite the challenge to keep up. Understand your drivers, focus on your challenges and success will come. 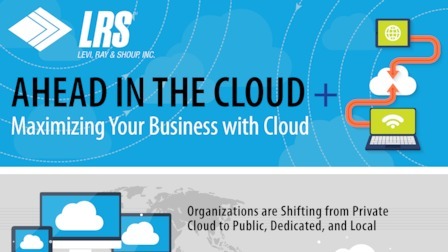 Become an enabler of cloud for your organization.